Like many things in Japan, cycling habits also differ from what we are used to in the Western World. In any area of conduction, Japanese are well-known for being extremely considerate due to the combination of law and traditional customs. Cycling is no exception. Even though traffic is habitually busy and in majority of the cities cyclists must share pavements with pedestrians, you’d only hardly hear someone using the bike bell asking people to make a way as such an action would be considered extraordinarily rude and annoying. Unlike most European cities where cycling on the pavement is banned, in Japan using the sidewalk is tolerated, however, cyclists must always favour pedestrians. Riders are expected to stick to the side nearest to the road. In narrow and overcrowded places, a cyclist must always stop and give way. Obstructing might be fined by up to 190 EUR. This is actually something that even foreign visitors would easily understand. There are many other rules, though, that may not be so evident. Violation of the rules might be fined according to the law. Although breaking any of these rules is likely to result in a warning from a police officer rather than a fine, if you become a part of an accident while committing some of the offences, the consequences will get serious. What is also prohibited when cycling? There’s a rainy season in Japan that could last for over two months and typhoons are not uncommon. When the storm comes, it rains hard. 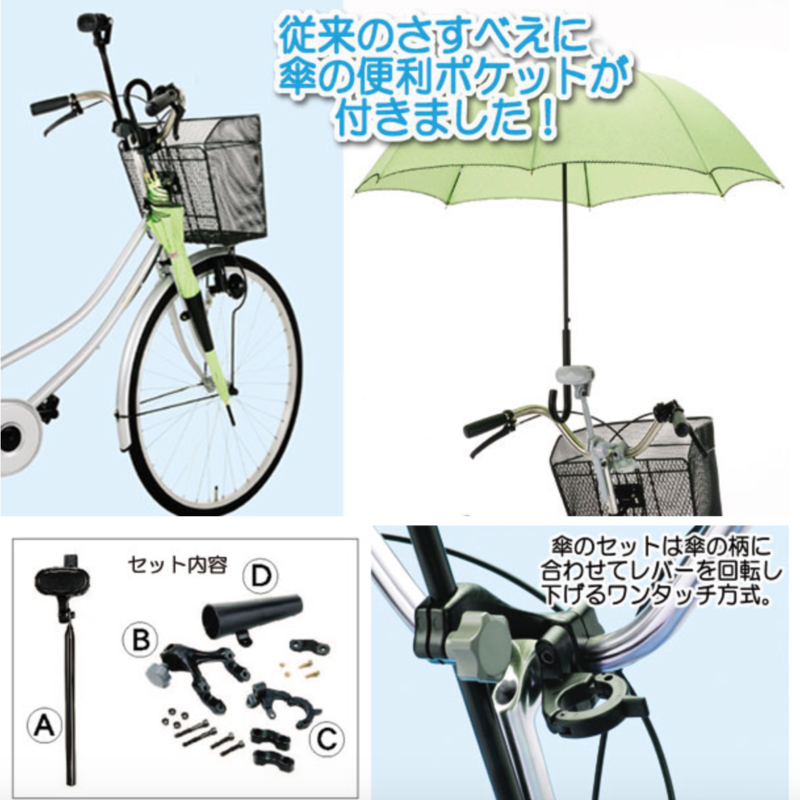 Staying dry while cycling is an issue, however, riding with an umbrella is banned unless you try to enhance your bike with a funny holder depicted in the illustration. A much useful solution would be acquiring a raincoat and a set made of waterproof jacket and trousers. Preventing yourself from hearing other parts of traffic might be dangerous and so is considered distracting. Your attention is impaired by listening to music from earphones or headphones. This is a controversial topic in Europe too, however, in Japan with their heavy traffic, riding side by side is unacceptable unless not explicitly allowed in the areas marked by special signs. 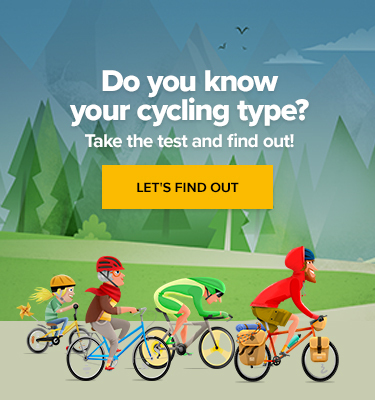 Downloading emails while holding the handlebars with only one hand might be doubtlessly dangerous both for you and your surroundings. The first case of charging a kid using a cell phone on a bicycle occurred in 2011 and since then the rule is strictly enforced. Japan is a country with zero tolerance towards alcohol behind the wheel. Similar rules are obligatory even for cyclists. Anyone caught with alcohol in their blood stream would face a serious accusation. There are plenty of other rules concerning using a headlight after dark or riding with kids that should be in suitable seats. People found guilty of breaking any rules twice in a three-year period are required to take lessons of bicycle safety. The class costs 55 EUR and avoiding it may lead to an assessment of an additional fine up to 480 EUR. 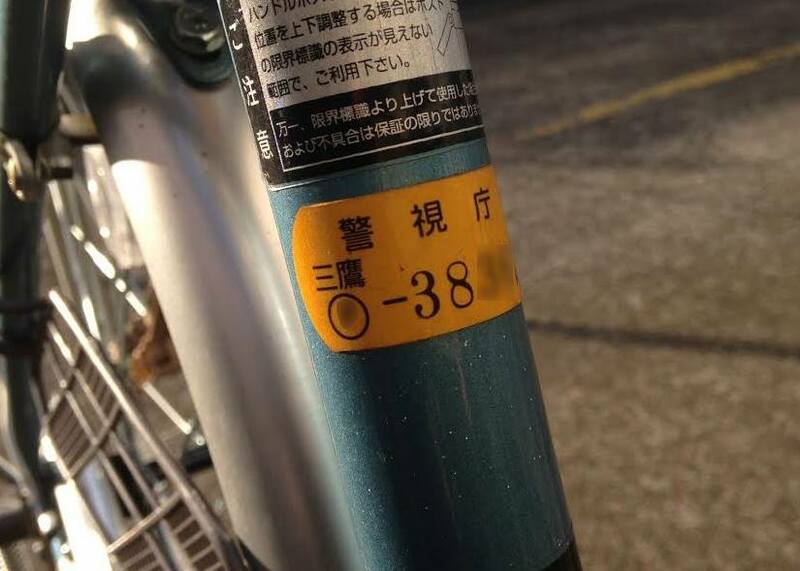 Japan has a specific bicycle anti-theft registration system. While the registration itself is compulsory for any bike using the road in Japan, there are actually no penalties for disobedience. With foreigners, police would probably be satisfied just with showing your passport but in any other case, an unregistered bike might be subjected to an investigation if it was not stolen, even though you are the rightful owner. The registration can be done by the prefectural police department for a 500 yen fee and the registration sticker will be stuck on the frame.